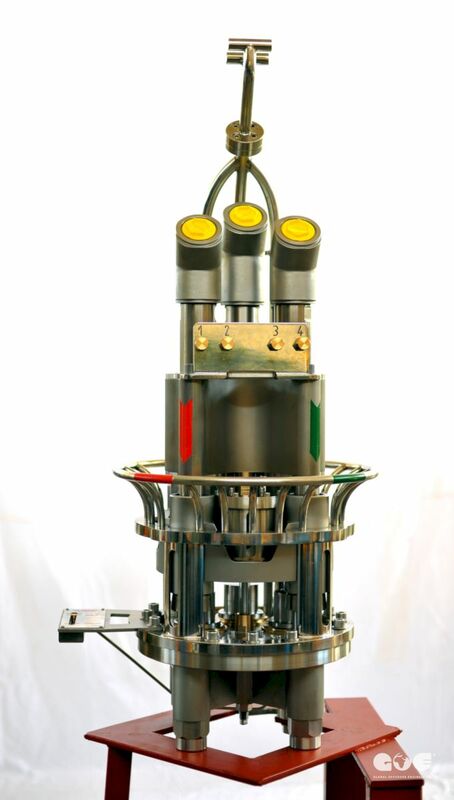 The Subsea Hydraulic Stab is hydraulic connector designed to connect/operate three hydraulic inline connections in the same time. It’s also designed with emergency fail safe release system. In case of loss of ROV hydraulics Stab connector will automatically release, allowing ROV to be recovered to surface for repair. 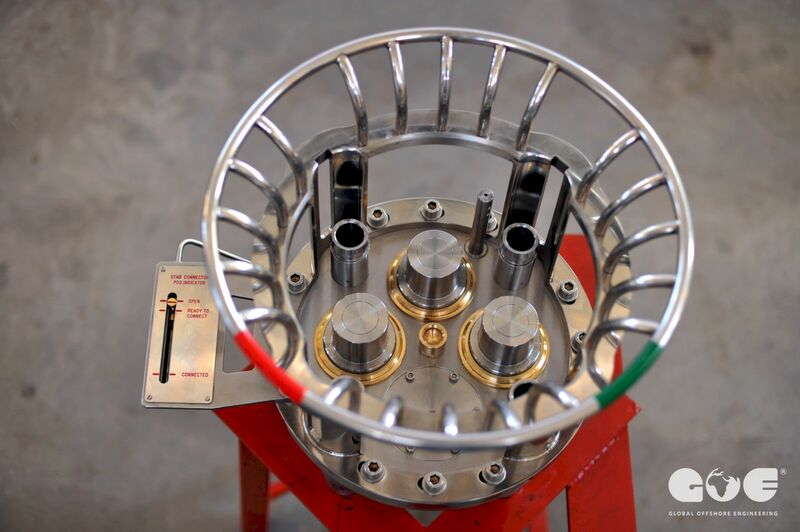 The Subsea Hydraulic Stab is equipped with high quality non spill quick connectors which provide high pressure seal and safe operation. The stab is also equipped with good visible indication system for control of connect/disconnect position. 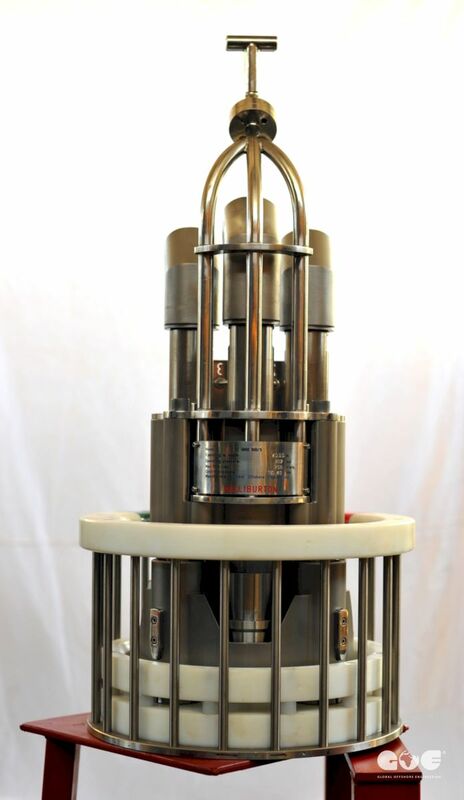 Optionally, Subsea Hydraulic Stab can be equipped with Wet Electric Connector GISMA Series 80. The fluid filled pressure balanced electrical connector series 80 are specially designed for deep sea mating. The high quality of Series 80 is based on a very reliable sealing system, a pressure balanced system and the new GISMA flushing device. Constant and low mating forces minimize the material stress at all designed pressure and depth capabilities. 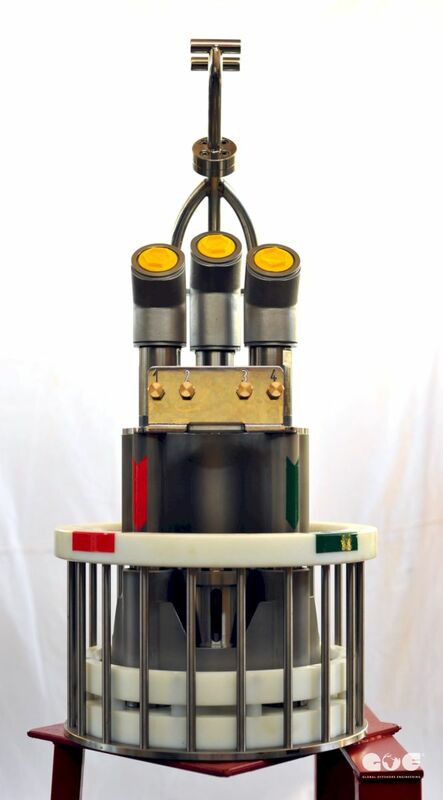 Subsea Hydraulic Stab is designed with 3 (three) operating actuators with large piston area which create high hydraulic closing force applied to stab locking system. The closing hydraulic force created by hydraulic pressure in stab actuator is sufficient to maintain stab receiver and active plate in contact when maximum pressure in hydraulic lines is encountered. All dynamic parts of the system have treated surface to increase resistance. 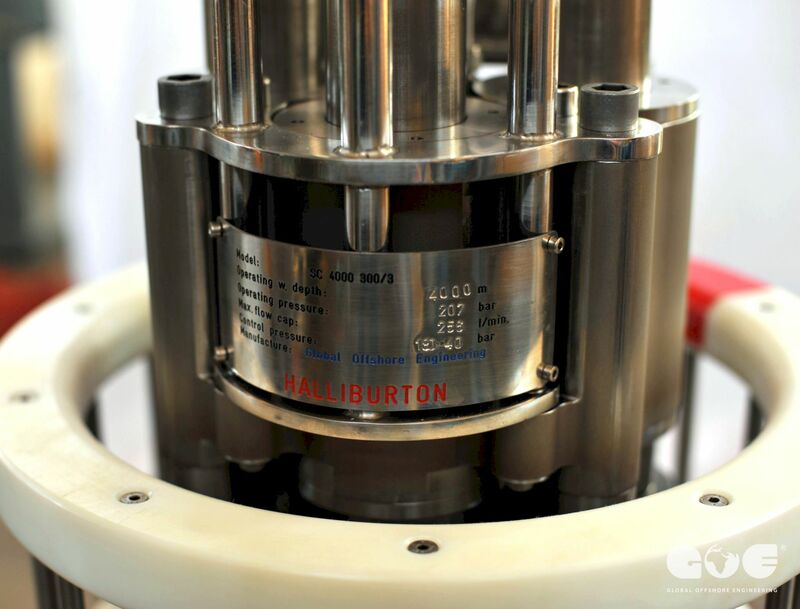 SHS is equipped with drawing out cylinder which during stab disconnect function help ROV to remove stab from receiver plate and during emergency (hydraulics fails) will automatically release and draw out stab from receiver plate.